Include a ‘New Client’ letter which explains details of working with your company or client opportunities. Special offers are popular and can be customized for the event, your product or service. Tips and hints, in the form of a brochure, postcard or magnet, will deliver an unexpected, but useful touch. Along with the useful inserts provided with your folder, an added business card is a condensed representation of your business. 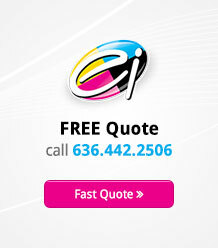 Your new client now has something to share once they’re ready to refer your business. Choose a pallet of colors that compliments your company’s purpose and theme. Keeping within the color pallet of your business ensures consistency throughout your marketing plan. 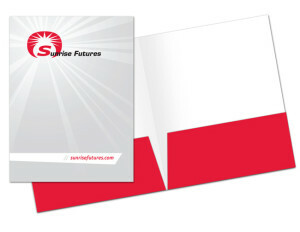 Brightness is one of many color features that can enhance the visual power of your folder. A folder offers the perfect space for special messages. Is there a quote that’s applicable to the solutions you provide? Do you have a catch phrase that applies to everyday life? These ‘extras’ share more about you and your business plus may raise awareness for something you care deeply for. When it comes to your business, there are plenty of ways to stand out and get known. In the race to be noticed, take a different path with a presentation folder. The message, the details and the opportunities awaiting you will demonstrate your company’s knowledge, expertise and attention to detail. They’ll be a hit with your select audience.